Once you try this Instant Pot Classic Cheesecake recipe, you will never go back to baking your cheesecake in the oven again! Not only is the taste truly amazing, but it cooks to perfection and the top stays crack-free! This really is a foolproof way to make classic cheesecake. In the great “cake or pie” dessert debate, cheesecake is the true equalizer. The classic combination of rich, creamy cheesecake filling and that sweet, chewy graham cracker crumb crust is so delectable and satisfying, it’s no wonder that cheesecake finds itself in the top 10 list of most popular desserts. There are even people who insist on celebrating birthdays with cheesecake, rather than a traditional-style birthday cake. And while there are all sorts of flavored cheesecakes (and many of them are quite delicious) there is something extra special about the unadorned, classic cheesecake that keeps people coming back for more. Why is it Called Cheesecake? It is thought that the ancient Greeks made the first “cheese cakes” by combining wheat, yeast, honey and cheese into a round cake shape and baking it. This simple recipe was then adapted in 18th century Europe when people began using beaten eggs instead of yeast to make breads and cakes. Removing the yeast made the cheesecake taste more like a sweet dessert. 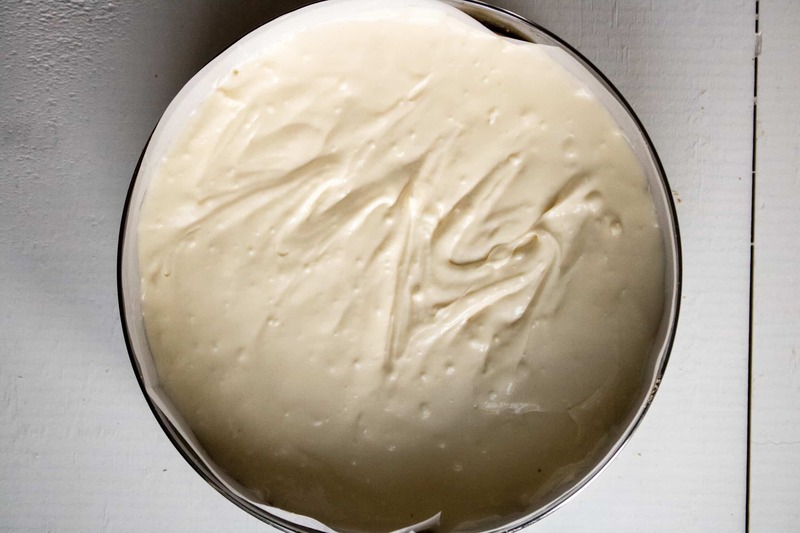 European immigrants then brought their cheesecake recipes to America, where the recipe was adapted to include cream cheese, now considered to be a staple ingredient for making cheesecake in the United States. Fun fact: the world’s largest cheesecake was 90.25 inches in diameter, nearly 31 inches deep, and weighed 6,900-pounds! That’s a lot of cheesecake! Ever since it made its market debut, cooks have been raving about making cheesecake in the Instant Pot. 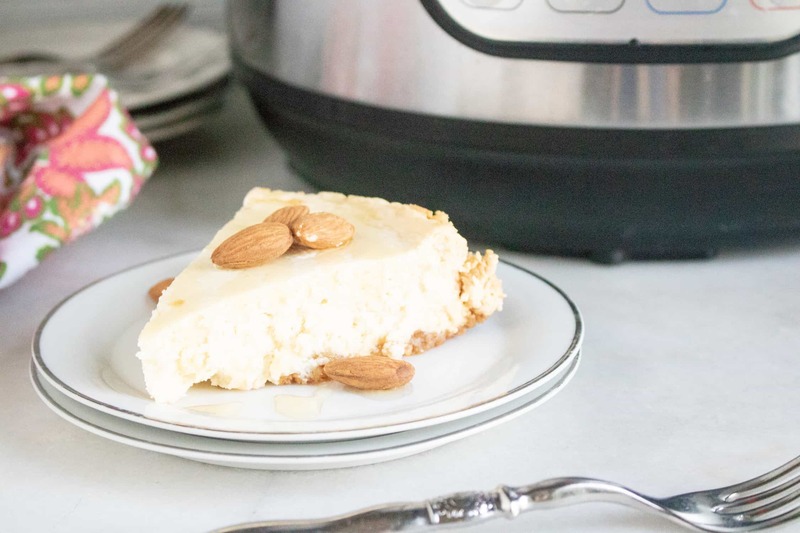 And it remains at the top of the list of popular Instant Pot recipes, because of the steamy pressure cooking environment that creates such an amazingly smooth and creamy cheesecake. Plus, it is so much faster! Traditional cheesecake recipes require over an hour of baking time, while Instant Pot cheesecake cooks in just 35 minutes (plus another 12 minutes of natural release time). Love making this Instant Pot Cherry Swirl Cheesecake recipe and ready for more? Then check out this compilation of the 15 Best Instant Pot Cheesecake Recipes! Instant Pot Peanut Butter Cheesecake is a perfect sweet treat for peanut butter fans. 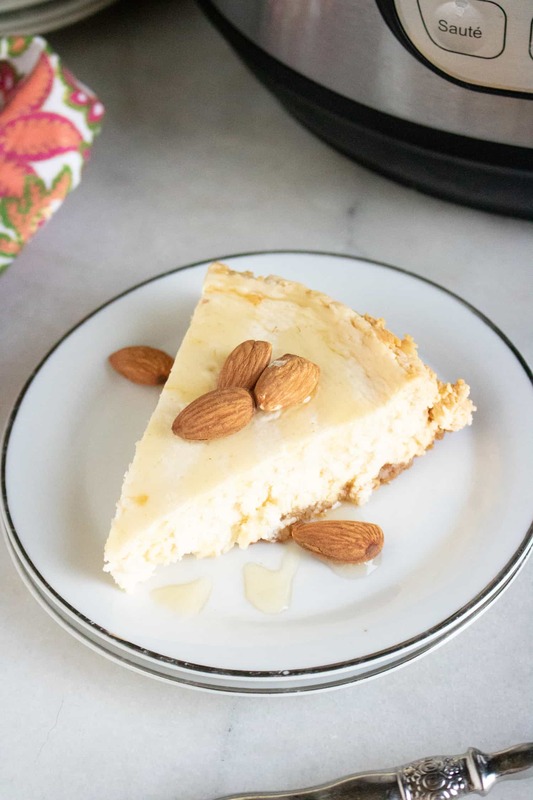 For those on the keto program or following a grain-free eating plan, this Instant Pot Grain-free Keto Cheesecake recipe is a tasty dessert that won’t derail your diet. Step #1: Combine graham cracker crumbs with sugar and melted butter, then pat down in the bottom of a 7-inch springform pan sprayed with non-stick cooking spray. 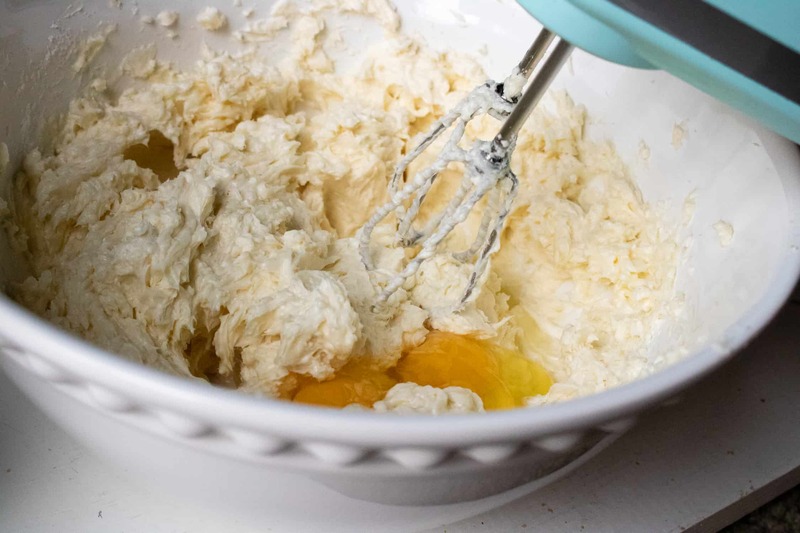 Step #2: Cream together the cream cheese and sugar until smooth and then mix in the eggs one at a time. 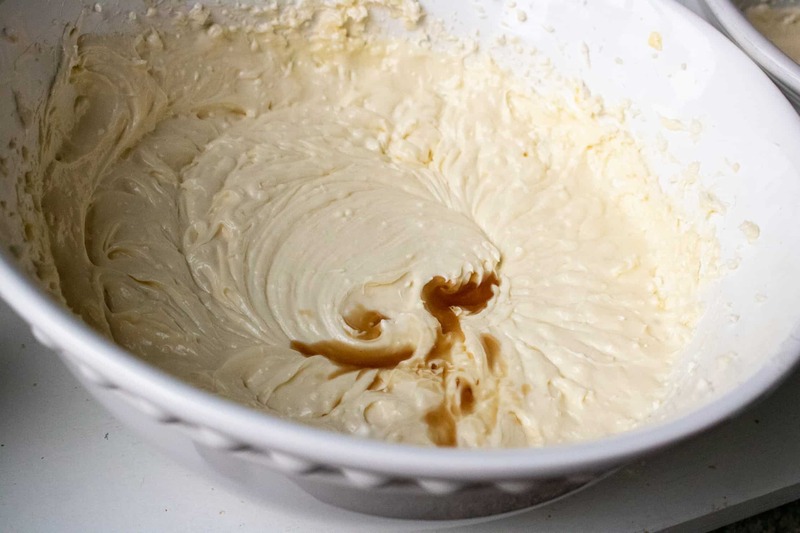 Step #3: Next, add in the vanilla or almond extract and sour cream and mix until smooth. Step #4: Pour into springform pan on top of the graham cracker crust. Run a fork back and forth through the cheesecake several times to remove air bubbles. Cover with foil. Step #5: Pour two cups of water into the inner pot of the Instant Pot. Make a sling out of aluminum foil to lower the pan into the Instant Pot, then close the lid of the Instant Pot and turn to sealing position. Step #6: Set for a manual high pressure time of 35 minutes. When time has finished, allow for a natural release for 12 minutes before letting out the rest of the steam. Step #7: Cool on the counter for an hour and then put in the refrigerator and cool for an additional 4 hours. If desired, add toppings before serving. Enjoy! 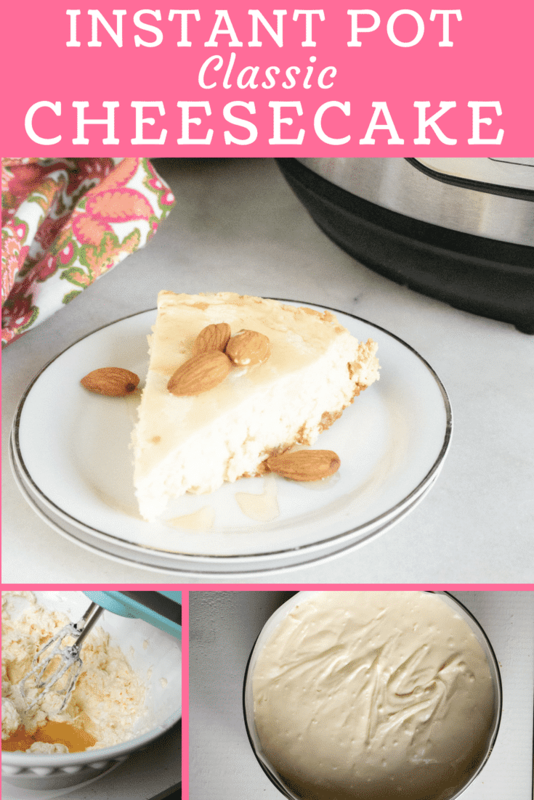 Instant Pot Classic Cheesecake tastes amazing and turns out perfect every time! 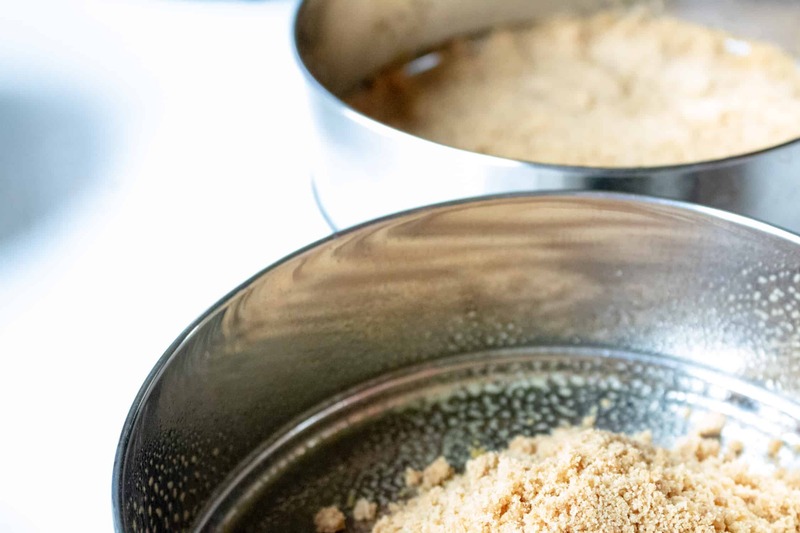 Combine graham cracker crumbs with sugar and melted butter, then pat down in the bottom of a 7-inch springform pan sprayed with non-stick cooking spray. Make a sling out of aluminum foil to lower the pan into the Instant Pot. If desired, add toppings before serving.